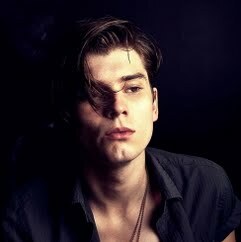 William Beckett, born February 11, 1985, is an American musician best known for his work with the now-defunct Chicago based band The Academy Is..., who were signed to Atlantic Records/Fueled by Ramen/Decaydance Records. While still in high school in 2002, Beckett and guitarist Mike Carden came together from rival bands in Chicago to form The Academy Is.... In addition to founding the band, Beckett and Carden are credited as the primary songwriters. In 2007, Alex Davies from the BBC described Beckett as a mix of Adam Lazzara and Prince, labeling him "utterly captivating". On May 27, 2015, Beckett announced that The Academy Is... would reunite at Riot Fest 2015 in Chicago. Beckett also said the occasion would serve as a "farewell" show.